Agencies or a group of agents that wish to combine their strength can do so using PropertyPages Group or Agency Packages which are so-called container websites that source their listings and other content from linked Agent accounts, but are otherwise fully functional and independent websites. This makes it ideal for agencies to create their own web presence with minimal administrational overhead while sitll allowing their property negotiators or agents to stay independent. The group container website will also create yet another web presence with its own Facebook and Twitter fan pages. Google AdWords can then be concentrated on a single website to maximum effect for a budget to which every agent site can contribute. 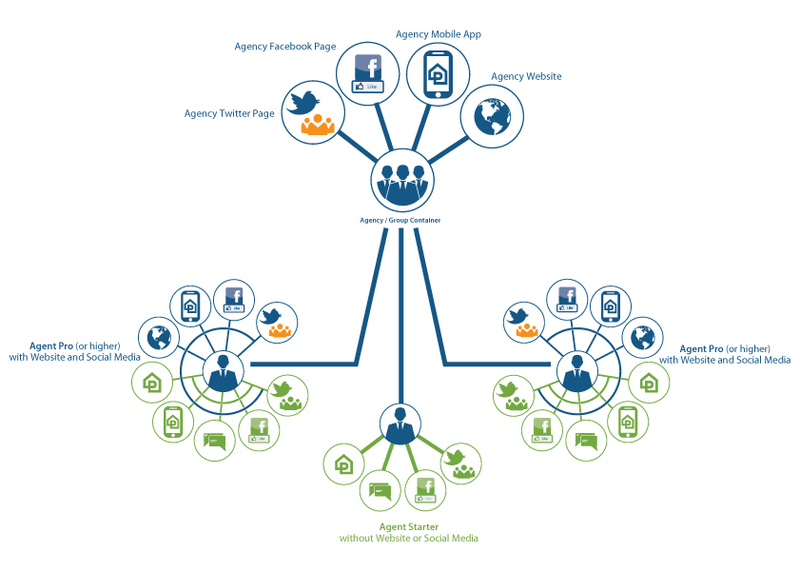 Linking agents to an agency container is simple and flexible. Agent accounts may be linked to multiple agency containers too, though all linked accounts must belong to the same Agency REN. Both sides have full control of what may be included in the agency container and if one agent moves to another agency he or she simply unlinks the account and links it to a new one, thus remaining completely independent. PropertyPages offers FREE trial accounts for licensed real-estate agents in Malaysia. we help you setting up and run your own website at no cost! Enter your property once and list it on multiple websites. Show us with your MIEA Membership NO and get additional benefits. Not a MIEA member yet? Talk to us, you may be entitled for MIEA Member benefits.